The holiday season is the season of gift giving. A thoughtful and welcome gift is a source of joy both to the giver and to the recipient. Unfortunately, it is also a very stressful -- and often unsuccessful -- process to find the perfect gift for all the people in our lives. 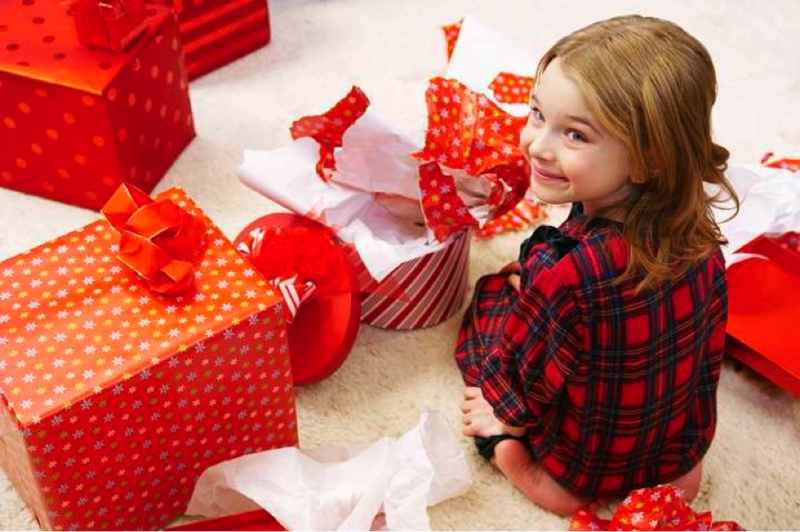 The reason is simple: the way we find gifts today is simply not very efficient. We amble through stores and malls until a product we think might be a good gift for a friend, a family member, or a coworker catches our eye. This is a time-consuming, hit or miss process, more often than not resulting in gifts that match our tastes and interests rather than those of our recipients. The ubiquity of gift receipts and the number of store returns right after the holidays are testimony to this disappointing state of affairs. Today at @WalmartLabs, we’re launching Shopycat, a Facebook app that makes gift- giving less stressful and more fun. There are two steps to finding the perfect gift. The first step is knowing the tastes and interests of the recipient. Shopycat infers the interests of each of your friends by analyzing their Facebook activity through likes, shares and posts using our Social Genome technology. For example, Shopycat notices that my friend Joe keeps posting about the Red Sox, and infers that he is a Red Sox-- and therefore, a baseball -- fan. Shopycat analyzes likes and shares to infer tastes as varied as Harry Potter, running, Angry Birds, sushi, yoga, and parenting to recommend gifts. The second step is to search across a large universe of products to find the one “wow” gift that doesn’t break the bank. Shopycat matches users’ interests to a giant catalog that includes products from Walmart.com, Walmart and sites including Barnes and Noble, RedEnvelope, ThinkGeek, and Hot Topic. For users who are not very active on Facebook, Shopycat will recommend appropriate gift cards from Walmart, iTunes, Starbucks, and Zynga. And for last minute shoppers, the app also shows the location of the nearest Walmart store to pick up your gifts. The “DC Comics Original” logo blanket from Walmart.com for a comic book lover. The Oster Electric Wine Bottle Opener with WineChiller (a steal at $20!) from Walmart.com for a wine aficionado. The “No Soup for You” mug from the NBC Universal Store for a Seinfeld fan. The Beatles Trivial Pursuit Game from Spencer’s for fans of the Beatles. The Angry Birds Red Peruvian beanie from Hot Topic for an Angry Birds addict. 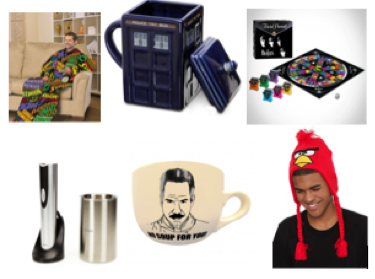 The TARDIS Mug from ThinkGeek for a fan of Dr. Who, the BBC TV series. We will measure our success by the number of smiles Shopycat brings this holiday season. Yet this is only the first step of a long journey as we reinvent gift-giving for the way we live now. Please take Shopycat for a spin and send us your feedback to help us improve. After all, there are birthdays, graduations and anniversaries just around the corner. Here's a short video we made that shows off Shopycat at work. The mobile team here at Walmart has been hard at work figuring out how mobile technology can be used to change the way people shop. We've hit some key milestones recently with the launch of our new iPad app and the introduction of Smart Shopping Lists for the iphone which we announced earlier this week. Yet, we are just getting started. Mobile isn't just an extension of e-commerce to mobile devices, but rather a guide that will impact all of a customer's purchases, from groceries to electronics and everything in between. A few months back we met the Grabble team -- a small team that was started in the proverbial garage in Woolongong Australia. The Grabble founders had a vision that was very similar to ours in terms of how shopping could be transformed using mobile devices. After many long conversations and paired programming over multiple time zones, we are thrilled that the Grabble team is now a part of our mobile efforts. They will be moving to our offices in San Bruno, California, and we look forward to working together to build products that seamlessly integrate the shopping experience between brick-and-mortar stores and e-commerce for millions of customers around the globe. We are excited to have Stuart and Anthony aboard. @WalmartLabs is working on ways to help Walmart interpret social media to predict trends and learn more about what our customers want. We are mining social media sources like Twitter and Facebook, blogs, search activity, as well as Walmart transaction data to find useful insights. We'll be posting some of our insights here on the @WalmartLabs blog. Please let us know your thoughts. Today we saw this interesting article in WSJ about the holiday sales war between the blockbuster video game franchises: Activision Blizzard’s Call of Duty and Electronic Art’s Battlefield. 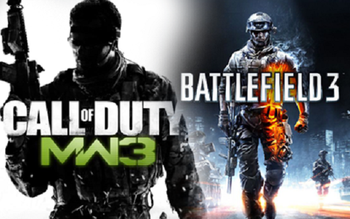 Call of Duty: Modern Warfare 3 hit stores yesterday while Battlefield 3 went on sale October 27th. We took a look at how these two games are doing head-to-head in social media buzz. Battlefield 3 saw a sharp temporary spike in the SocialSense Index the week of launch. Call of Duty: Modern Warfare 3 has surged this week and appears to be overtaking Battlefield 3. However, Call of Duty 3 doesn’t appear to have the buzz strength that Call of Duty 2 had the same time last year. Will this translate into softer sales than last year? We’ll revisit this post in the coming weeks to see how it plays out.